At Sunand we also provide Indian catering for parties like birthdays and weddings. We prefer receiving a catering order a week in advance or earlier. 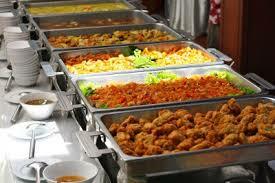 Catering can be arranged up to 100 persons. It will be served as a buffet and furthermore it is possible to arrange plates and cutlery if needed. If you have any wishes which are not available through our menu just let us know and we will see if we can prepare something extra.